Have you visited PaleOMG? If not head on over, Juli Bauer’s blog is funny and full of amazing paleo recipes. She is also cross fit obsessed and loves clothes – what’s not to like about that! Having a bad week has not been good for her, but good for us who follow her blog with this awesome post. 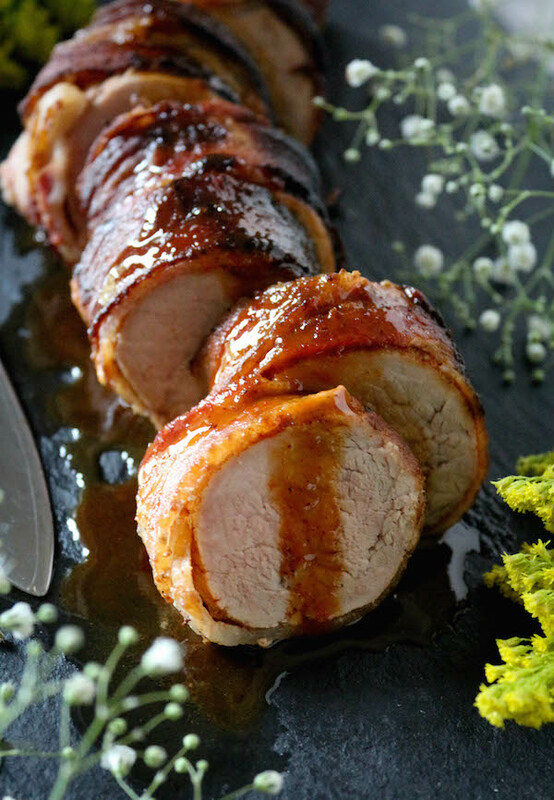 Orange Chili Glazed Bacon Wrapped Pork Tenderloin. Bit of a mouthful but what a mouthful! I have only recently come to love pork. In fact, only in the past two years of primally inspired eating when ribs have become something on my menu. Alas I have not baked them myself yet – so if you have an awesome rib recipe throw the link in the comments below! Anyho – ribs; lamb or pork are my favs, but I also know how tender tenderloin can be. So look at Juli’s recipe for Orange Chili Glazed Pork – it may not be ribs, but my mouth is watering already. You’ll need about 650 gms or 1 1/2 pounds of pork tenderloin and 6 or 7 strips of bacon. Make sure your pork and bacon has come from happy piggies and you’ll be set to go.